Why is Open System Monitor in Parrot OS different from Ubuntu? - New and Fresh Private + Public Proxies Lists Everyday! Why is Open System Monitor in Parrot OS different from Ubuntu? I notice that both operating systems use the same Open system monitor. However, the one I installed on Ubuntu only has one indicator, while Parrot has 3 for CPU, memory and hard drive / SSD use. Would it be possible to have a similar vision on Ubuntu? 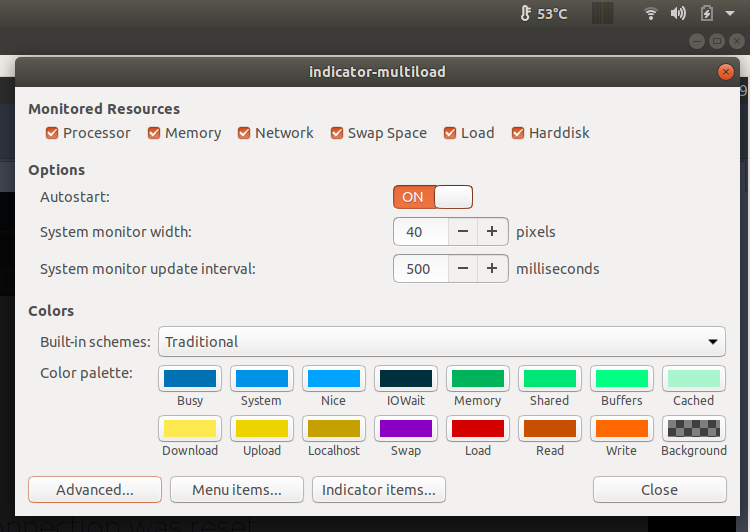 This is the setting of Open system monitor in Ubuntu.